Many people ask, why is it necessary to pay attention to science? What does religion have to do with science? Historically, the foundations of modern science are found in the Judeo-Christian tradition, beginning with the Old Testament and its emphasis on an orderly, rational and contingent world. In the New Testament the life, death and resurrection of Jesus Christ underscore the openness of matter to spirit and the presence of God in creation. Patristic writers such as Saint Augustine encouraged study of the natural world. Creation bore the footprints (vestigia) of God and understanding the natural world (scientia) could help deepen one’s faith. The influence of Greek philosophy on Christian theology peaked in the Middle Ages where Aristotelian cosmology was joined to Christian theology in the brilliant synthesis of Thomas Aquinas. For Thomas, to know God (religion) was to know the world created by God (science, from the Latin scientia or knowledge). Science was necessary for theology because a mistake about creation could lead to a mistake about God. It is startling to read that, according to a recent Gallup poll, less than forty percent of the American public is familiar with the basics of modern science. To the popular mind, science is completely inimical to religion: science embraces facts and evidence while religion professes faith in God. However, the Christian faith contains deep truths with philosophical consequences that make conceivable the mind’s exploration of nature, including the human’s place in creation, the revealing nature of God and the ways in which God freely creates. The cosmos, and the laws which govern it, do not form a self-explanatory system; they point beyond science and call for a deeper philosophical and theological foundation that can address questions of ultimate meaning and value. Religion speaks to us of the intelligibility of the universe, of its fruitfulness for life and its persuasive account of ethical and aesthetic perceptions. Religion can articulate what science cannot grasp, the aim and purpose of an evolutionary universe. A world without religion finds it hard to explain how “something of lasting significance is glimpsed in the beauty of the natural world and the beauty of the fruits of human creativity,” as John Polkinghorne wrote. Modern science challenges us to widen our beliefs, not to become rigidly fixed in them. It inspires us to awaken to something more awesome and deep at the heart of created reality. Science needs religion because theism makes more sense of the world and of human experience than science alone but religion needs science to prevent it from falling into idolatry and worship of false absolutes. Science cannot prove the existence of God and Religion cannot prove the existence of quarks but scientific discoveries can ignite “questions of the more” that religion alone can address. I just returned from the American Academy of Religion/Society of Biblical Literature conference, the world’s largest gathering of scholars interested in the study of religion. More than 1,000 events took place during the annual meeting with a plethora of academic sessions, workshops, meetings and receptions attended by almost 10,000 participants. Of this vast network of religious discussions, no more than a few sessions focused on science and religion and none really deepened the engagement of these disciplines. One session actually provided a postmodern critique on why science and religion should not be integrated into a unified vision. When I left the conference I had a headache reflecting on the spread of interpretations that included race, gender, science, power and authority. The postmodern critique not only rejects a cosmic meta-narrative but it actually thwarts any type of unified system of thought as being subversive of subjective experience. It wants to ensure that power and authority lie in the personal subject and not in an overarching system. While I sympathize with this critique to some extent, the fact is that there is nothing that binds us together as a human community. Religion now has a thousand different meanings and “God” is a philosophical and theological symbol open to interpretation. So what is the glue? This question, the “so what” question, is the one I want to focus on. The postmodern critique has unwittingly created a society where indifference, intolerance and entitlement thrive; a society riddled with deep anger issues, low-level depression and radical distrust. Many people feel isolated, alone and abandoned and thus ripe for consumerism, where the mall becomes the cathedral of transcendence and brand names constitute one’s identity. Where we are, as Sheri Turkle states, “alone together.” And yet, science and religion tell us otherwise, that we are not alone but deeply entangled. Quantum physics has disclosed a radically interrelated universe, a cosmic communion, where nature is a vast network of interconnected energy fields. Religion, in its root experience, is a deep connection to the source of all life. Jesus of Nazareth was a deeply relational person disclosing a deeply relational God. How do we find a deeply relational God in a deeply relational universe? Teilhard gave a profound and succinct answer—love. As he wrote in one of his essays, “love is the most universal, the most tremendous and the most mysterious of the cosmic forces.” In his “Essay on Chastity” he ignited the human heart with his phrase “the energies of love”: “Someday, after mastering the winds, the waves, the tides and gravity, we shall harness for God the energies of love, and then, for the second time in the history of the world, man will have discovered fire.” What exactly are the “energies of love?” In Teilhard’s thought, they are center to center attractions. We do not have to get too “heady” to understand how love binds all life together; we simply have to get out of our isolated ivory towers. Yesterday, I invited an amazing woman by the name of Karen Prushaw, to speak to my class on living and working with the homeless in Philadelphia. 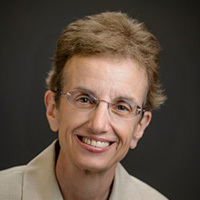 Karen graduated first in her class throughout her academic career, from high school (Holy Child) through college at LaSalle University and law school at the University of Pennsylvania. She practiced law for ten years and one year took a break to volunteer at St. Francis Inn for the homeless in Philadelphia. While mopping the floor and feeding the poor, God spoke to her in a deep way; she relinquished her profitable law career and started living and working with the homeless full time, and has been quietly doing so for the last 27 years. She does not earn a salary, she has no pension but what she has is a heart completely open to meeting God in the person she encounters. Every person she said has beauty and dignity; every person has a name and a history. To call each person by name; to raise up the fallen by looking into his or her eyes and saying “you are loved” – this is not only a religious act, it is the unity of cosmic life. Karl Rahner wrote that the whole cosmos has a fundamental unity in the one God who creates it, sustains and empowers it, and brings the whole to completion. God is at the heart of evolution as the power enabling a creature to go beyond oneself and become something more. This transcendent power is the power of love, the power of relating to the other as more than oneself and yet intimately related to oneself. Jean Vanier said that to love another person is to reveal to another his or her own beauty; when we do so we lift one up from an isolated existence into the full flowering of community of life. Teilhard wrote, “creation can be effected only by an evolution process of personalizing synthesis” because love is the structure of the universe. Science can tell us how evolution works but love is the reason why. God is the name of irresistible and unquenchable love at the heart of an unfinished universe. Ilia, I appreciate your explanation of the “energies of love”. The concept of “center to center attraction” reminds me of Brian Swimme’s statement in The Journey of the Universe that there is an inherent “urge to merge” in the Universe. I believe quantum entanglement, tunneling, and superposition describe the possibilities and creativeness in the love-energy of relationship and unity. In human relationships, the transcendent power of “relating to the Other as more than oneself” is reflected in the neuroscientists’ description of mirror neurons. Teilhard’s concept of an evolutionary process of “personalizing synthesis” is especially intriguing. In evolution, life makes a relentless effort to reach out to “the adjacent possible” (Stuart Kaufman). Recent research has described the communication at the cellular level. More dramatically, I am reminded of the imaginal cells in a chrysalis that find each other and create something new – a butterfly. It would be useful to have more discussion about how the energies of love also includes death and destruction as an evolutionary imperative for the development of all life-forms. Ilia, I too am saddened by the lack of understanding of how science and religion merge. I am educated on the science side. The more I study science the more I deepen my faith. Science can explain how things happen but not why and where it began. Science has even been close to discovering that “love” gene or at least the hormones associated with love. But why do we have such hormones in the first place? Why is love even an energy? Science cannot explain that. Thank you for the opportunity to think! One of the ideas I found most compelling from this book was the notion that a fragmented or categorized cosmos is an artifact of human perception, or even of human ego, a very common theme in science, especially when it comes to molecular genetics or evolution. If we can set aside our human assumptions and cognitive proclivities for a moment, it isn’t so difficult to conceive of the cosmos (including ourselves) as a single, whole, entity. I know it is a common trope to cite quantum mechanics (especially quantum entanglement) when attempting to describe a scientific insight that supports this notion of wholeness, but as a biologist I find the idea of embodied cognition (See Thomas Nagel: https://en.wikipedia.org/wiki/What_Is_it_Like_to_Be_a_Bat?) a bit more compelling. My understanding of this idea goes like this: like all entities, humans are defined as such because of their capacity to interpret phenomena in their environment in a way that gives rise to responsive and adaptive behavior – the capacity of any entity to do this coincides with the physical form of said entity, which defines sensory and cognitive tendencies, such as they might be. From a human point of view, this basic capacity is a manifestation of consciousness, which many people believe to be an exclusively human capability. But what about bats, spiders, apple trees, algae, fungus and bacteria? Can we say with certainty that they don’t possess consciousness? The capacity to sense and respond to environmental stimuli isn’t even specific to living organisms, but is a capacity possessed by individual organs, tissue domains, cells, enzymes, genomes and even RNA fragments. Even the water molecule (H2O) has both a positive and negative end (like a little magnet), and as such can exhibit a rudimentary sort of behavioral capacity in that it can respond to, ambulate in, and manipulate its environment – if it couldn’t none of us would be alive! My point with all of this is that as humans, our consciousness is literally composed of and attributable to a multitude of interconnected, coordinating consciousnesses, and that our unique human embodied cognition is an emergent and ubiquitous quality of the cosmos. When approaching the question of love through this lens, you can see that attraction and formation of bonds is intrinsic to a cosmic anabolic process of building up complexity, and of manifesting sustaining and self-regulating patterns of order out of chaos. Love/attraction builds things up just as surely as hate/repulsion breaks things down, degrades complexity and consciousness and tends toward oblivion. Finding the theological note amid all of this can be confusing, and so Ilia’s report of very few science related discussions at her conference is perhaps understandable. The easiest way for me to make sense of all of this is to focus on Christ, the Anointed One, who is both fully divine and fully mundane, at the same time. Consider the notion that all the material universe, including life on earth, is infused from top to bottom with both consciousness and love, which human beings experience from their own unique perspective. Now consider the notion that the essential nature of God is love (as per St. John the evangelist), and reflect on the fact that God became man via His Son, Jesus Christ. I don’t see a conflict of theological, philosophical or scientific modes of thinking, even though the semantics, iconography or structure of the narratives have variation. In my mind, they are all human endeavors to describe a similar phenomenon, even though they may appear distinct culturally, historically, politically or academically. The important thing to understand is that all these perspectives have a purpose and a value, and that when we become too identified with one we can become blind to others. I imagine God can comprehend and appreciate ALL the perspectives of ALL entities throughout the entire cosmos throughout ALL time. And so when we try to understand the perspectives of other people, cultures, historical traditions, political ideologies or academic disciplines, I reckon we might just become a bit more like Him. Thanks for your insight into Science and Religion. Christianity without Science will only see our neighbour as human. This failure to recognize the evolution of humans from other Life forms stunts our understanding of the interdependents of all living things. If it is the Truth that according to Jesus God is Life it provides us with a childlike knowledge that sets us free. There is in my view, guided by the Holy Spirit only one Universal Truth. Life exists. And all living things know this Truth. Life remains with all living things until death. The love of Life is therefore the highest form of Love. The Way to respond to this Good News, with the help of science is to love,,, care and nurture all of Lifes beings, as best we can. We have the resources and capability to provide all living beings who need our help, with their basic needs. This will bring love and joy and a fuller Life to all of us. Deacon’82 Environment and Global Justice. Thank you for this reflections Ilia. For a long time now I have come to see that the separation of Religion/Spirituality and Science is what I call the “Mother of All Divorce.” It is at the heart of all separation. I think this is essentially what Jesus was talking about when he, in responding to the question of divorce, said that Moses allowed for it because of the hardness of heart. (our ignorance) But he said, “from the beginning it was not so.” Spirit had always been “married” to matter and no one can separate what God has joined. If we could really see the deep significance of this then we would understand that what we are witnessing “out there” in the world today is really a mirror of the inner life of the human soul. The extremes of weather reflect the extreme divisions in the human family, the “raging fires” of hatred, the flood gates of spilling grief and tears. Yes, the “climate” has changed. We are more polarized than every and it is manifest in every aspect of life. The further we have gotten away from our essential nature to love one another, our DNA, the more violent we have become. Whatever it is that will bring us back into harmony, coherence, and balance must begin in a return to the womb as Jesus told Nicodemus, to the primordial Silence where everything belongs and we are all One. Out of that Silence we may then speak new words that will heal. Thank you for this thought provoking post. I have been struggling with the Science versus Religion conflicts in my own life for at least the past 50 years. (I’m 68 now !). One of the big stumbling blocks I have had to overcome is how to read (or not read) the Bible and reconcile Biblical “miracles” with modern science. Your reference to the Gallop Poll concluding that only about 40% of Americans understand modern science is only half the problem. I would argue that nearly 90% of church going Americans have no idea on how to read the Bible metaphorically. I certainly was not taught this in my early Christian Sunday school days. This is a sad state of affairs. The Old and New Testaments are primarily written by Jewish authors. They we trying to explain a mystery that can only be explained metaphorically. Sadly, our western minds have little training in reading scripture from a Jewish perspective. (See several of Spong’s books on this topic). The Bible contains eternal wisdom that is far beyond what science can prove. That Wisdom however gets lost in a literal reading. Instead, we as science minded Christians are forced to explain why we “don’t believe” Jesus literally turned water into wine but do believe that that story has deep spiritual purpose in explaining how Jesus is transforming an ancient Jewish “purification” doctrine into something radically new and significantly more inclusive world. So in the end we both miss what the Bible is really saying and pit science against religion at the same time. I really appreciate what you and the Omega Center are trying to accomplish. It think it is critical to the future of all living beings on our planet. My hope is that we move forward on at least two fronts, modern science on one hand and Biblical interpretation on the other.